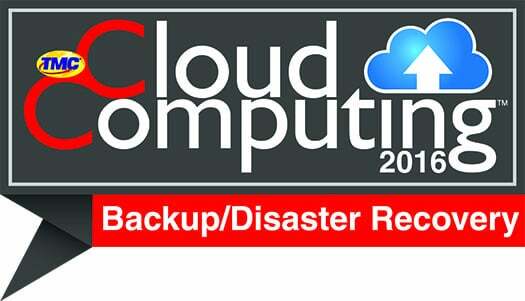 Last week, TMCnet announced that Riverbed SteelFusion was named a winner for the 2016 Cloud Computing Backup and Disaster Recovery Award. It’s indeed an honor—and it feels great to be recognized in the industry for a solution we have been focusing and investing in for years, ROBO IT. All too often remote and branch offices are treated as afterthoughts when it comes to having a robust business continuity and disaster recovery plan. The award recognizes technologies and vendors that have built solutions that allow organizations small or large to remain active and productive even under the most challenging conditions (data loss, natural or man-made disaster, service interruptions), minimizing lost business opportunities. Since the majority of business takes place at remote locations, it’s only fitting that our uniquely designed solution that focuses on edge IT has taken center stage. Value: We know that business continuity/disaster recovery (BC/DR) initiatives are one of the top budgeted items for IT shops. With over 50 billion in market value there is clear demand for these critical solutions. However, small to mid-market organizations are often budget constrained to purchase big-iron solutions that sit idle at a secondary site until needed (at least, that’s the common rationale for pushback). Disaster Recovery as a Service (DRaaS) solutions have addressed some of these concerns, but certain industry verticals such as retail, and manufacturing demand that their data be under complete control of localized IT teams. This could be for regulatory reasons, or due to performance requirements of certain business-critical applications needed to run on site. Riverbed SteelFusion offers the best of both worlds—centralize control of all data, along with unmatched value that companies can realize when considering the total cost of ownership of edge IT. Don’t take my word for it—Drakes Supermarkets in Australia, implemented a SteelFusion solution, and it has saved them over $100K per outage. 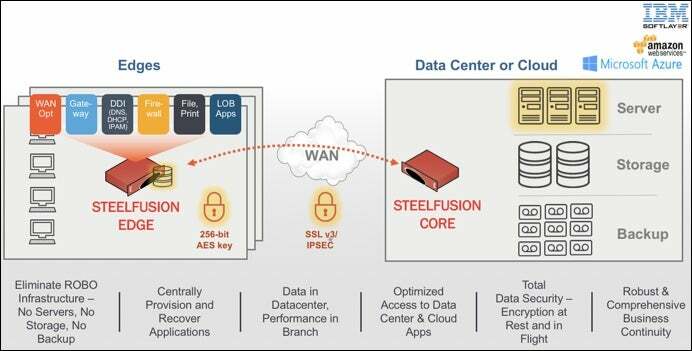 Innovation: SteelFusion is the only purpose-built solution that converges virtualized servers, storage caching, WAN optimization, and networking service onto one appliance. All data at the ROBO is continuously replicated to the datacenter or cloud resulting in a near-zero RPO and RTO if a full or partial recovery is needed. With distributed data under the safe confines of a centralized team, it can be backed up, archived, or tiered to the cloud. All aimed meet very specific SLA’s and to protect infrastructure investments made for the enterprise-class data center. Ease of Use: Much of this comes directly from our innovative approach outlined above. But operationally, recovering from a downed application, service, or site is as simple as spinning up virtual machines in the data center and projecting them to one or several ROBO sites. This can be further automated with orchestration scripts for a true zero touch experience. No longer is it required to rebuild servers, reinstall software/applications, or restore data from tape. And best of all this can all be done without a site visit by an already stretched IT specialist. Learn more about our BC/DR offerings in a this infographic or contact one of our specialists for more info on how your edge IT will always be available when you need it most.